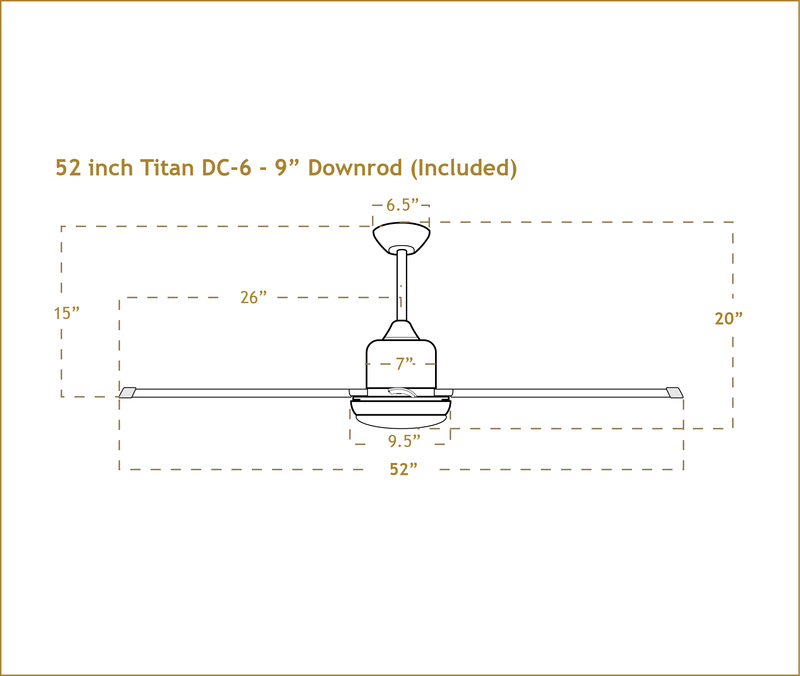 The 52 inch Titan DC-6 Ceiling Fan with Extruded Aluminum Blades in Oil Rubbed Bronze Finish features an ultra efficient DC-motor that offers 6 forward speeds and 6 reverse speeds controlled by the included handheld remote. For those that would rather not have to go searching for a remote, we offer an in wall control separately. The 52" Inch Titan DC-6 is configured to be used with or without its integrated light kit. All the hardware is included. Whether you choose to use the 52" Titan DC-6's low profile light kit (holds 2 Edison base bulbs max incandescent wattage 60 watts each) Or use the included cover plate that fits snuggly into the motor housing. The 52' Titan DC-6 looks just like it bigger brothers the 72-inch Titan and 84 inch Titan. 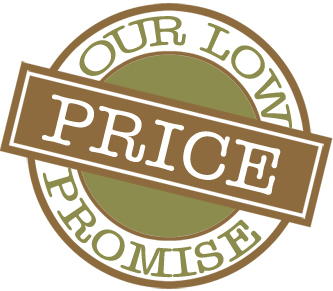 And all models are available in 3 finishes Oil rubbed bronze, pure white and brushed nickel. With all these options the 52 inch Titan DC-6 works well with Modern or Industrial decor. Its great for your home, garage, greenhouse or warehouse. Our TroposAir Titan ceiling fans have got you covered. Got questions call us. All we do is fans. Includes 9" Down rod - Extension. Available separately 12", 24",36",72"
Down Rod - Extension Diameter 3/4" I.D. *Disclaimer: Ceiling fan motor has been tested with the correspondent size blades. -Free Shipping on Purchases of $249.99 or more.